[toc]An ankle sprain is a most common sport injury. It may affect any individual of any age participating in sports. A sprain is caused due to a certain abnormal and jerky movement of the ankle ligaments. It could be mild to severe and that’s how you have to go about treating it. The symptoms are mainly swelling, persistent pain, reduced range of motion in the joint and overall movement of the limb. The ligament usually takes about a week or two to completely heal if it is sprained and if the ligament is torn it might some more time. It is important that you follow your doctor’s prescription of pain pills or anti-inflammatory pills but you can treat the ankle sprain at home as well. 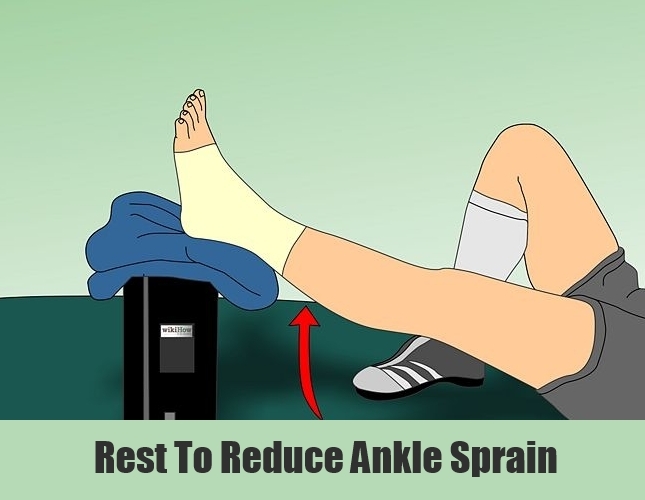 It is important to give adequate rest and proper care to heal the ankle. 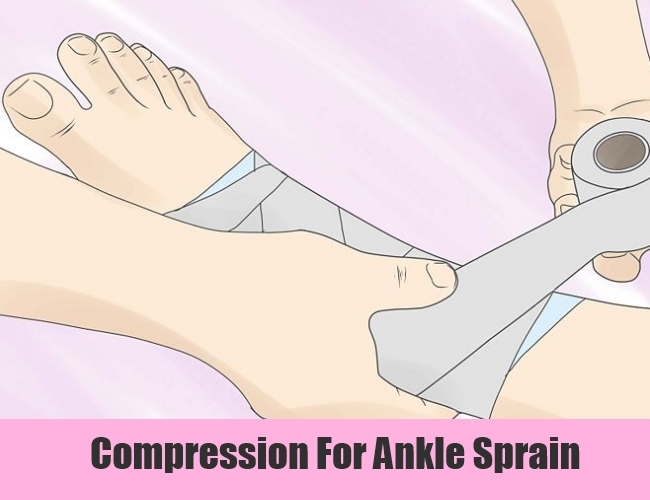 Here are some simple home remedies to treat ankle sprain. It is crucial that adequate amount of rest is given to the part and sometimes a splint might be provided so you should make sure that you wear it at all times. Restriction of movement is to be practiced for about 2 or 3 days until the collagen tissue inside the ligament start to produce new bonds. The limb is not supposed to be moved and there should be no weight bearing activity on the leg. 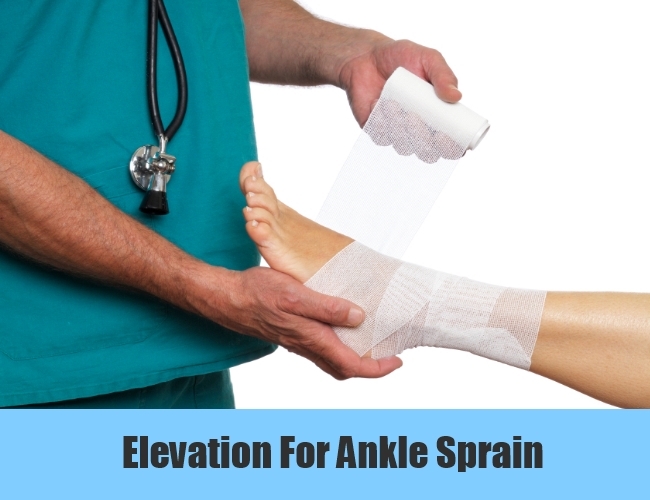 You need to keep the ankle elevated at all times because it helps to bring down the swelling. Keep about 2 or 3 pillows under the ankle at all times and due to gravity the swelling will travel distal to proximal and drain the lymph nodes and the ankle will appear its normal way again. Cold helps a great deal in reducing the inflammation and encouraging healing of the part. Cold modifies the part’s blood circulation in a way that new blood with nutrients is transported at a faster rate in the affected region. With the transport of nutrient rich blood, healing process will speed up. Ice also acts on bringing the swelling down and when the swelling will come, the pain will also be reduced. A tight crepe bandage should be tied around the ankle. The compression will help in bringing down the swelling and trapped fluid inside the tissue cavity. The compression should be tied in a gradual pressure pattern in which maximum pressure should be applied distally and gradually decreasing the pressure as we come proximal to the limb. This is so that the fluid drains down in the lymph node and doesn’t get trapped elsewhere causing oedema in the rest of the limb. Moving the part is only to be done after 3 to 4 days of the injury. 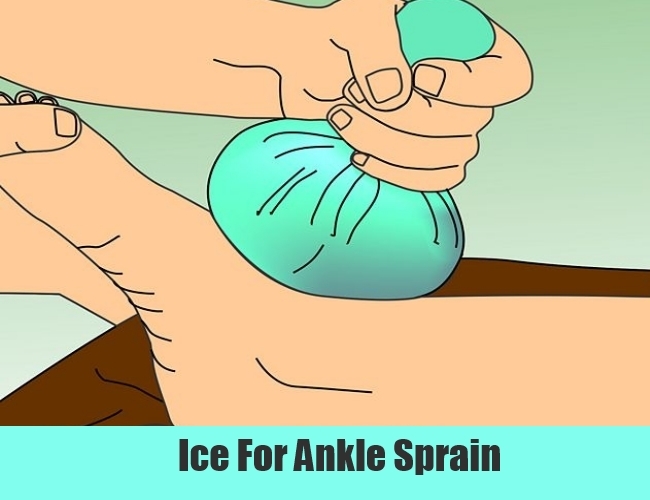 First apply some ice to ease the pain and swelling and then try slowly moving the ankle. No jerky movements are to be practiced. Move it as much as you can and don’t try to exert yourself because of the pain. Make sure you are not causing any damage to the soft structures while moving because the ankle is already hurt.